← Do you shop the markets like me? What is it about these amazing and vibrant colored tommies that hit the market this time of year? It’s like a rainbow of plump, juicy and tasty veggies that can make almost any dish just that much prettier! 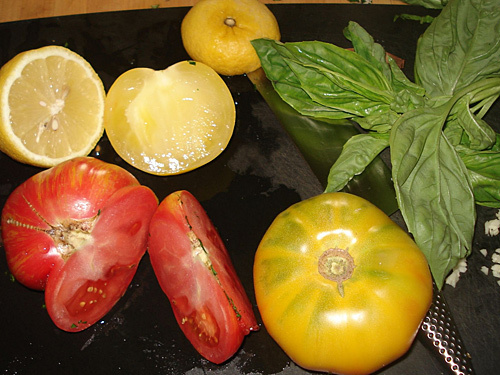 And really, this image only shows 3 types, some fresh picked basil and home grown lemon from my mom and dad’s tree. 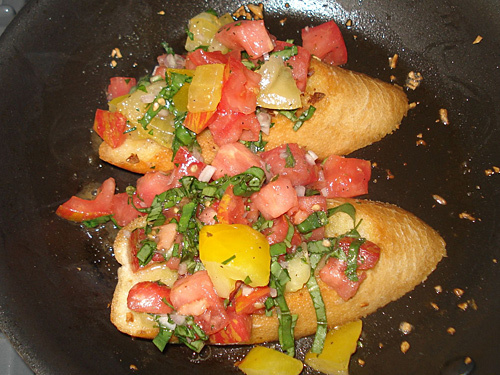 That’s the beauty of making bruschetta, you only need a few ingredients. 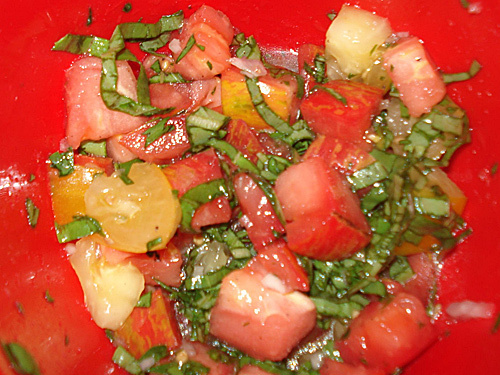 I like to mix up my chopped tomatoes, julienned basil, diced shallots (this is my own take cause I love shallots) in a bowl. I squeeze a little fresh lemon juice, splash w/some good olive oil and S&P. Once it’s ready to eat I plate with a drizzle of really really good balsamic vinaigrette and if I have some, sprinkle some fresh feta over it. 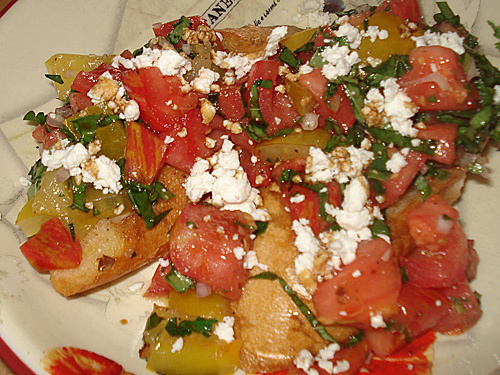 I have to say this was so dang yummy… 2 slices piled on with this mix was almost not enough. At least it’s the middle of summer and plenty more amazing veggies to be eaten!